Things slowed down for a while there, but it looks like things are about to speed up again! I have just opened my new Storenvy Custom Toy Store which can be found Here, and although there are no products currently listed, this will change in the coming weeks. 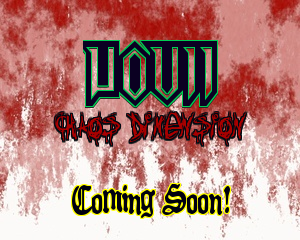 Keep your eyes peeled here, and over at Little Rubber Guys Forum for an announcement about UOVII's debut release. This will be an extremely limited run, with both Wave One figures (Satyrant & Venus Maneater) being available in some limited edition and one-off colours that probably wont be made again. Later, the debut of Wave 2 will coincide with the Wave 1 figures being released in a larger run of standard colours. More info to follow in the coming weeks so stay tuned.